The Flash Book from Rocky Nook provides you with answers to many questions you may have about your flash. 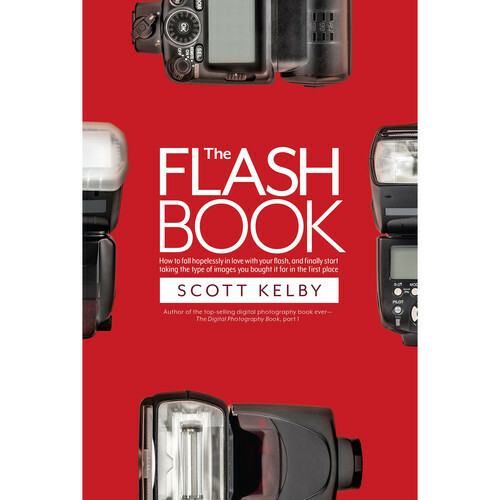 Authored by best selling photography book author Scott Kelby, this isn't a book packed with theory, confusing jargon, or complex ideas. Instead, this text shows you which buttons to push and what settings to use so you can take advantage of the many features your flash has to offer. The evolution of digital cameras has brought about a revolution in flashes, but often they are overly complex and difficult to use. Sadly, this leads to many people rarely using them for anything other than on-camera flash photography, even though they offer much more. As advanced photographers know, today's flashes are packed with features for on and off-camera use, but the systems are non-intuitive and frustrating for most users. Luckily, Scott is here to take away the mystery and confusion. This book does not lecture you on a bunch of geeky flash stuff involving math and light meters. It offers a simple system that Scott has been perfecting and using for years. Each technique is described in one page, and each page takes you through the flash settings and camera settings for that technique. Affordable flash accessories are also covered and Scott graciously shares his own settings and equipment so you can start using your flash like a pro. The book is written in a down-to-earth style so it feels like you are out on a shoot with the author. Ultimately, if you want to fall in love with your flash and create the types of images you've always dreamed of, this is the book that will get you there. Box Dimensions (LxWxH) 9.05 x 6.05 x 0.55"